Round head bolts (button head) are commonly used in wood connections. Round head bolts are similar to carriage bolts, but without the square neck under the head. 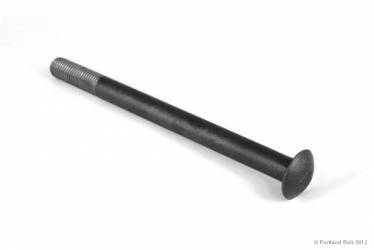 Because they are used with wood, round head bolts are rarely high strength and virtually always supplied in a standard ASTM A307 specification. 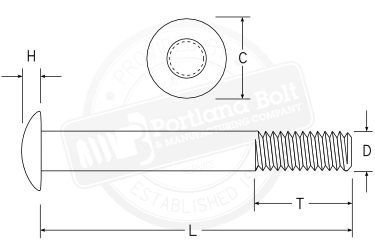 Portland Bolt manufactures button head bolts from 1⁄2” through 11⁄4 ” diameter in most ASTM, AASHTO, and SAE specifications. 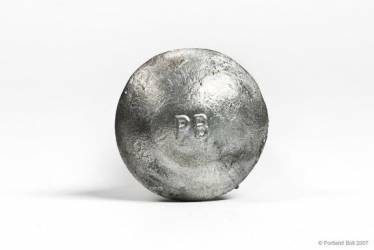 Special tooling can be created to produce nonstandard head dimensions, button head bolts larger than 11⁄4” in diameter, or bolt heads with your company’s name and/or logo.